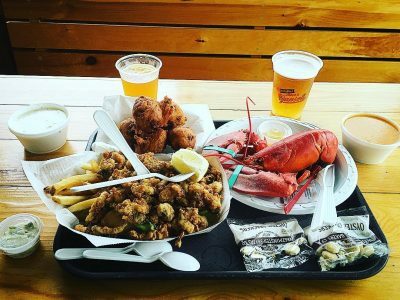 We like to think we know a thing or two about frying up some of New England’s finest delicacies. July 3rd is coming up… and around these parts, it’s National Fried Clam Day. Now there’s some debate on this subject… Some say that National Fried Clam Day is on November 1st… Some say July 3rd… We say WHY NOT BOTH!? 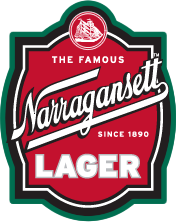 So to prepare you for this national holiday, we’ve put together our favorite ‘Gansett Fried Clams recipe. Start by heating the oil in pot over moderate heat until a deep-fat thermometer registers 380°F. While oil is heating, rinse and drain clams in a colander. Add the clams to a large bowl and stir together with the lager and butter milk. Using the colander, drain the excess liquid from the clams. Stir together cornstarch, cornmeal, flour, spices, and kosher salt in a separate large bowl. Dredge 1 handful of drained clams in flour mixture, then shake in a large sieve over flour bowl to remove excess flour. Transfer clams, one by one, shaking them again to remove any excess flour mixture, to a baking sheet. Fry coated clams until clams are crisp and golden, about 1 1/2 minutes, then transfer with a slotted spoon to paper towels to drain. Return oil to 380°F between batches, removing any bits of fried batter with a fine sieve and coating next batch of clams. The batches will get progressively darker, but that won’t affect the flavor. Sprinkle with kosher salt, pepper, and chopped parsley to taste. Garnish each plate with a couple of lemon slices, and you’ll be golden like your clams!